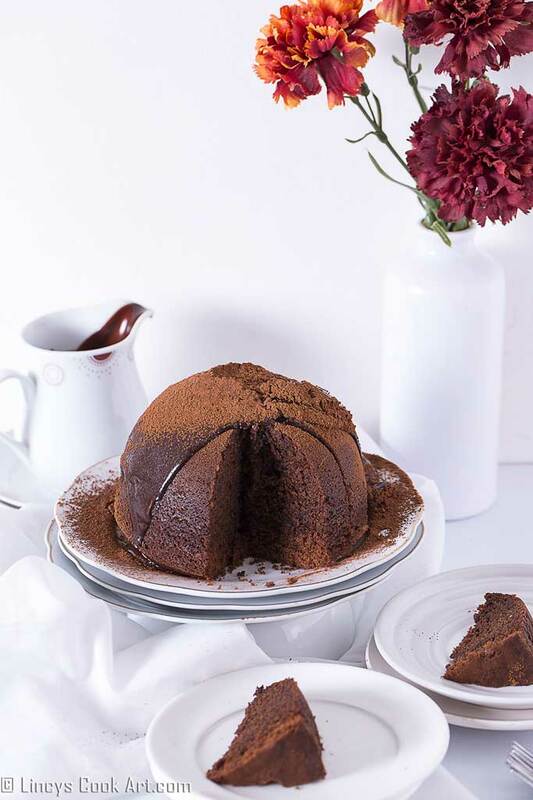 Steamed Chocolate Pudding, this recipe was in my to do list for many years and for this Easter i planned already to make this and today my wish come true. 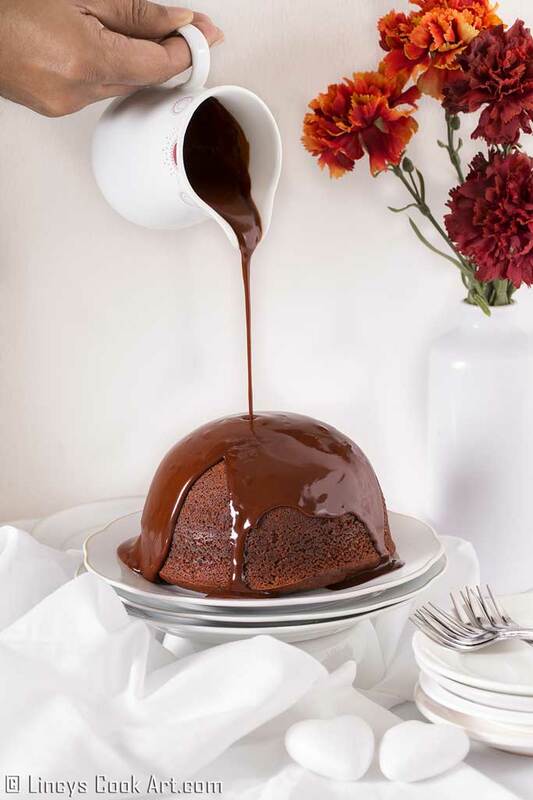 I wanted to make this chocolate pudding steamed version and it came out very well and tasted yum too. 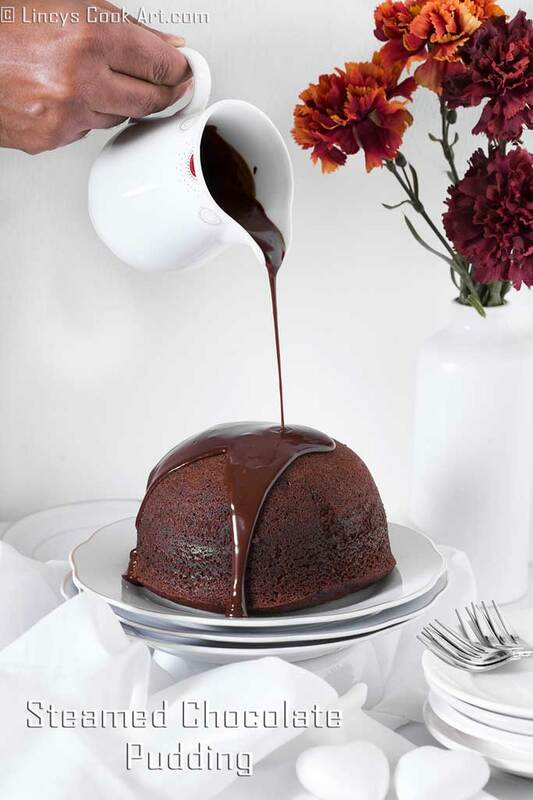 With the rich chocolate sauce it feels like a rich dessert. This dessert is super easy to make and only the cooking time is long. Suitable dessert for any festivals like Christmas, Easter, Valentines Day..etc. 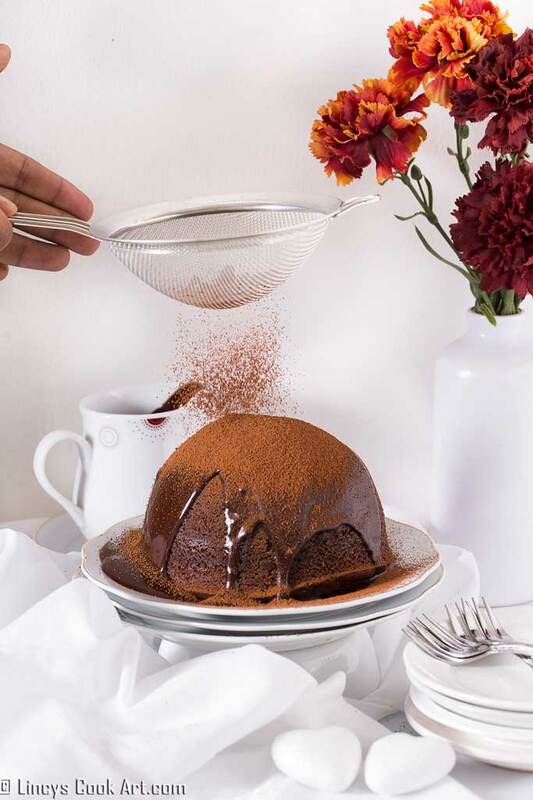 Decadent delicacy for the Chocolate lovers for no doubt. Sift together dry ingredients self raising flour, baking powder, cocoa powder, coffee powder and salt. Or combine well with a whisk; set aside. In a bowl add the butter and sugar and beat well till it reaches a creamy stage. Now add the eggs one by one and beat well till frothy stage. Add the dry ingredients in two batches and fold well or slowly run the electric whisk till combined without lumps. Microwave the milk for 30 seconds or boil and add the hot milk just to loosen the batter little. You may not end up using the whole milk. Add according to the consistency of the batter. I used 2 eggs so i required all of the milk. 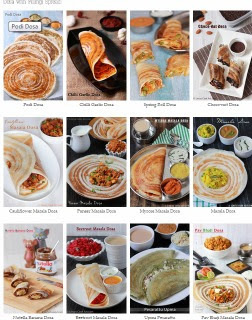 Beat slowly till combined as a smooth batter slightly pourable thick batter. Butter 1.25 lit capacity bowl and pour the batter and tap the bowl slightly to avoid air bubbles and flatten the top with a spatula. Fold a pleat in the centre of the foil and parchment to give the pudding room to expand as it cooks. Tie the foil onto the basin with string; wrap it twice to keep it tight. Heat the steamer with water till rolling hot stage. Now carefully keep the bowl inside the steamer and steam for 1 and 1/2 to 2 hours on slow flame till the inserted skewer comes out clean. Note: You could use any steamer you use at home like Idli steamer. You could pour individual moulds or small teacups and wrap them and steam them to make individual pudding. good work anni.very proud of you! Outstanding job over again. I am looking forward for more updates.